Does your family love to watch football? Do you have a favorite team? 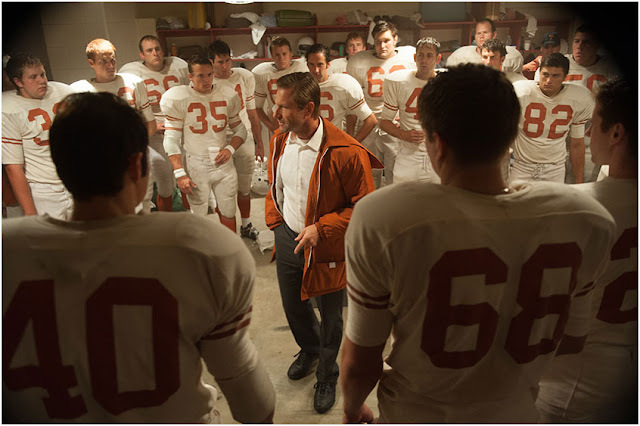 My family loves to watch football, and even more so, we really enjoy watching movies based about football. If yours does too, I'm excited to let you know about a new family friendly movie coming out this November-- My All American. It's rated PG and is based on a true story-- we are excited to see it! 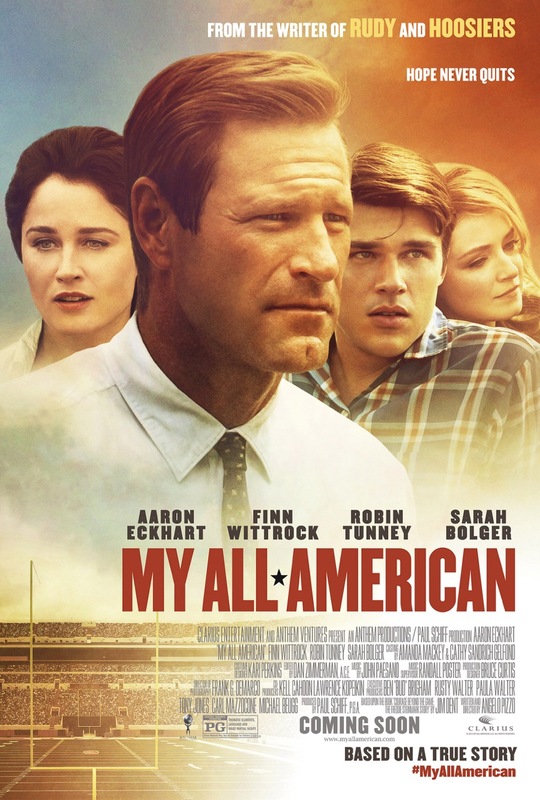 Read below to learn more about what the movie is about, then enter to win a fun My All American prize pack that also includes a $25 gift card! Be sure to stay connected with My All American on Facebook & Twitter! 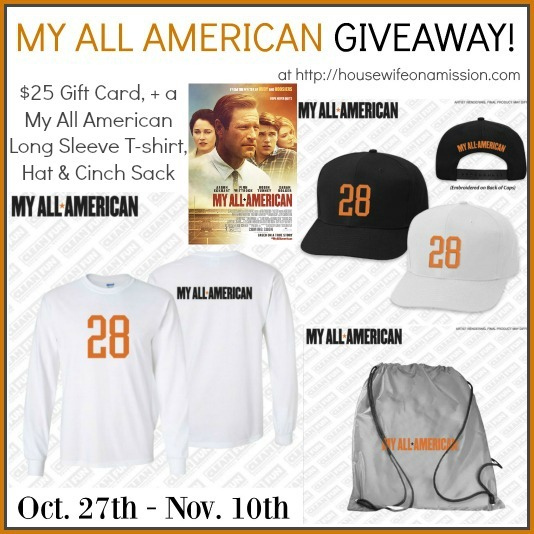 One of our readers are going to win a $25 Gift Card, + a My All American Long Sleeve T-shirt, My All American Hat and My All American Cinch Sack. Giveaway is open to US residents only, ages 18+ and ends on 11/10/15 at 11:59PM EST. Prizing provided by Clarius Entertainment. If you have won the same prize on another blog, you will not be eligible to win it again. Disclosure: Housewife on a Mission is not responsible for prize fulfillment or shipment to giveaway winner. Winnerswill be drawn at random then emailed and will have 48 hours to respond to claim their prize. If no response is given, another winner will be chosen. Facebook, Twitter, Pinterest, and any other social media are not affiliated with this giveaway. I will wait for this movie to come out on dvd. If we are able, we will go. We enjoy seeing movies when we can at the theater. We will see this in the theater because my kids can't wait!